All equines (horse, pony or and donkey) in the European Union (EU) must have a horse passport issued by an authorised Passport Issuing Office (PIO) in the EU. You need a passport for each horse, pony or donkey you own. Importing or exporting - Any horse, pony or donkey you import from a European Union (EU) country must have a valid passport issued by an authorised PIO in the EU. The owner of an equine has specific legal responsibilities under the Horse Passport Regulations 2009. Failure to comply may mean that the local authority (usually Trading Standards) takes enforcement action. The maximum penalty for each offence is £5000. 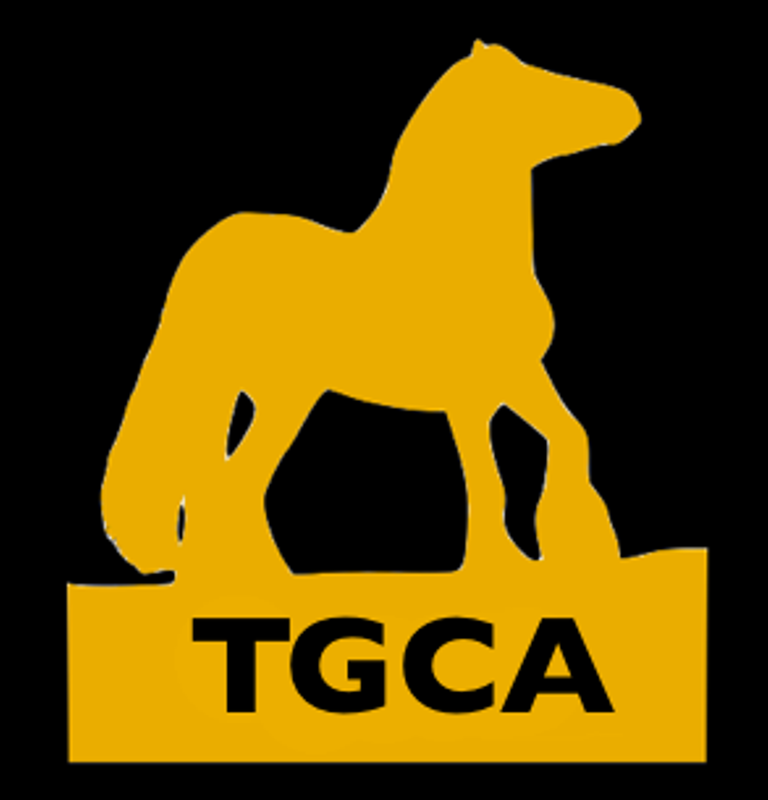 The owner must apply for a passport with the TGCA before the foal is 6 months old and before the 31st of December of the year of birth. It is an offence not to have a vet microchip a foal prior to applying for a passport AND/OR to apply for a passport after these time limits. Once the passport is issued - keep it safe. A Trading Standards or Animal Health Officer may request it to be produced for inspection. Failure to present a passport for inspection is an offence. The passport should accompany the animal when it moves to shows, sales, competitions, when it is sold or moves to slaughter. Failure to do so is an offence. Note the number & the PIO it was issued by. This makes obtaining a replacement more straightforward if the original is ever damaged or lost as the passport is valid for the life of the horse. It is an offence to apply for a duplicate passport for an equine unless the original is lost. When a vet medicates or injects a horse, pony or donkey it must be recorded in the Administration of Veterinary Medicinal Products section of the passport if the equine has not been signed out the human food chain. In addition in the Administration of Veterinary Medicinal Products section, an equine can be signed out of the food chain by an owner or keeper and veterinarian. If an equine dies or has to be put to sleep then the passport must be returned to the issuing PIO within 30 days to have it invalidated. It is an offence to obstruct an inspector who is enforcing the Horse Passport Regulations 2009. When a horse, pony or donkey is sold the passport must be passed onto the new owner. Failure to do so is an offence. When a horse, pony or donkey is purchased always obtain the passport & notify the PIO within 30days of the animal?s new owner. Failure to do so is an offence. A horse cannot be sold without a passport. When a horse is sold, the seller must give the passport to the buyer at the time of the sale. The buyer must contact the PIO and register their new ownership within 30 days. TGCA Passports - A Transfer of Ownership form, which must be signed by both the seller and purchaser, must be fully completed and returned to TGCA office along with the passport and the appropriate fee. When the animal dies you must return the passport to the issuing PIO within 30 days of the animal's death to have it invalidated. You can request that they return it. TGCA Passports - Please return the passport along with a covering letter confirming the date and circumstances of death. If you wish the passport can be returned to you once it has been invalidated provided a stamped addressed envelope is enclosed. What should I do if the passport is lost or damaged? If the passport is damaged or the binding deteriorates it may not be valid and you must contact the issuing PIO immediately. For lost passports provided the horse's identity can be established by a vet and an ownership declaration is made, you may apply to the original PIO for a duplicate passport. If the horses identity cannot be established a vet will need to complete an entirely new identification and you must apply for a replacement passport. For all Replacement or Duplicate passports the PIO will automatically sign and stamp the animal out of the human food chain. TGCA Passports - An application for a duplicate/replacement passport must be made, including a vet identification where necessary, and returned to the TGCA office along with the passport (where damaged) and the appropriate fee. Your vet must record any medication or injections your horse is given. Owners should note that if an equines permanent passport is not immediately available to a veterinary surgeon, medicine that would exclude that horse from the food chain cannot be administered. When information contained in the passport changes you have 30 days to notify the PIO that issued the passport. TGCA Passports - Please return the passport to The TGCA LTD with a covering letter confirming the change and the appropriate Fee. Changes include: a new owner?s address; the horse is gelded; a horse passported before 2009 is microchipped. Your vet must record any medication or injections your horse is given in Section IX. This affects what happens to the horse when it dies. This section contains declarations concerning whether the animal is intended for slaughter for human consumption. Horses can be declared as ‘intended’ or ‘not intended’ for the human food chain. This section may be signed at any time, but must be signed when directed by a vet before administering certain medicines or before an animal is consigned for slaughter for human consumption. Please note that if you sign Part 2 (Not for human consumption), this declaration cannot be revoked by you or by subsequent owners. If you do not have a Section IX in your passport it is not valid and you must contact the issuing PIO immediately. Should you have any concerns or complaints regarding a Passport Issuing Organisation these should be directed to that PIO in writing. A written confirmation of the outcome, including any procedures to appeal that outcome. The TGCA takes it's role as a PIO very seriously and strives to provide a very efficient and effective service. Should you have any reason for concerns or complaints then please do contact us immediately.